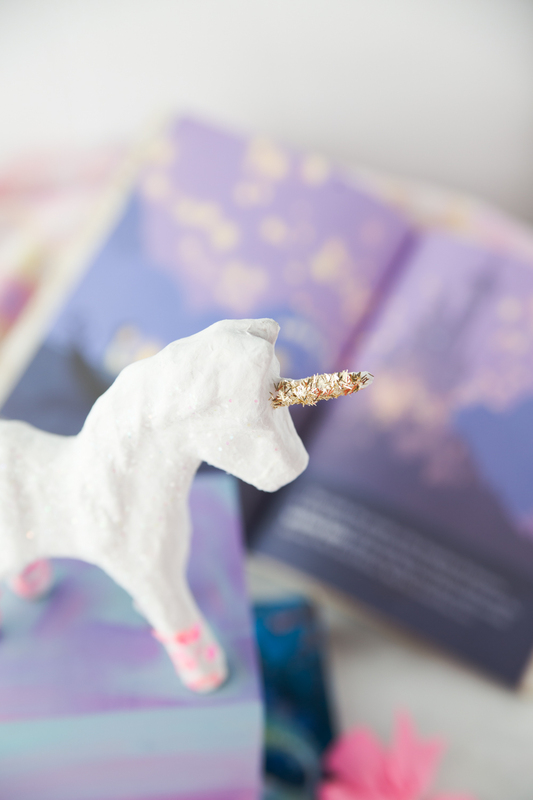 This Diy Unicorn Bookend is an simple and sparkly diy idea that is perfect for any little one that loves magical unicorns. This post is brought to you by Plaid Crafts. All opinions are mine. Unicorns are all the rage! And while I may not get into the mythology history of the legendary horse, I do however think they are adorable! My daughter loves the colorful manes and rainbow glitter that tends to come along with anything unicorn. 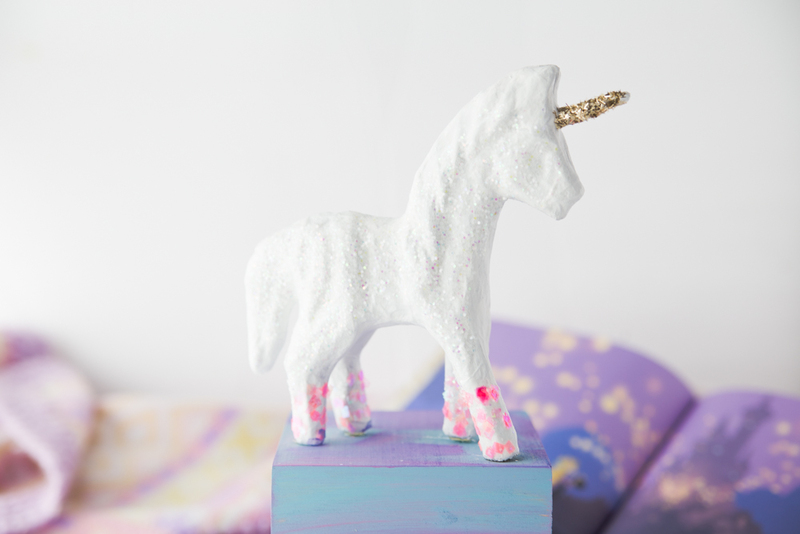 I was shopping at one of my favorite stores, Target, the other day and came across these paper mache unicorns and the Delta Ceramcoat® Acrylic Paint in their craft department! Anytime I can mix some of my favorite home decor items and craft items in one shopping trip it’s a winner for me! 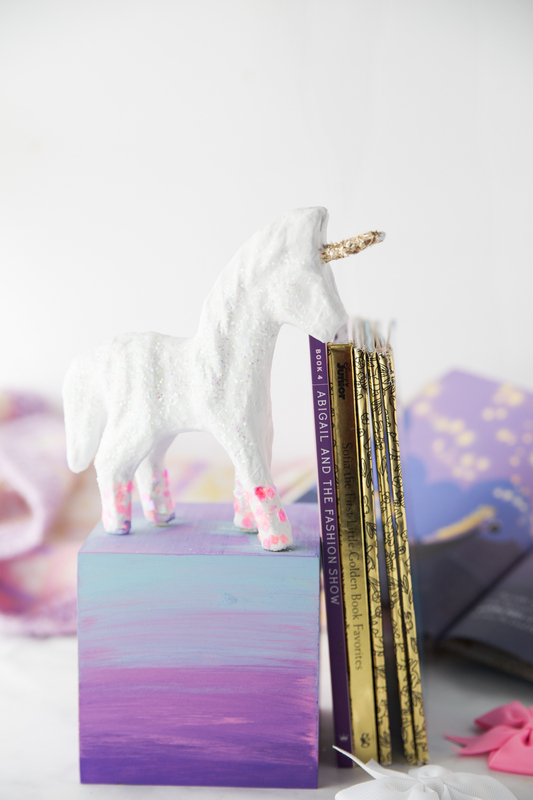 My daughter actually spotted the unicorn first while we were shopping and the idea of this diy unicorn bookend came to life. 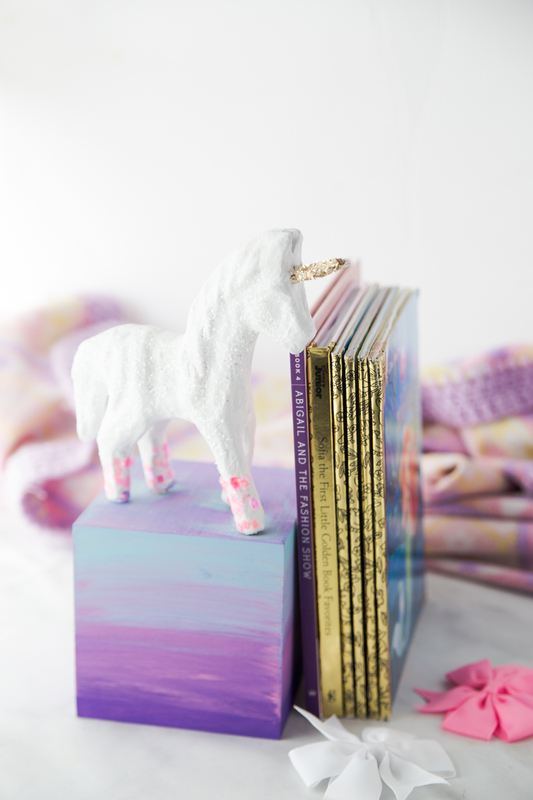 You only need a few supplies for this unicorn bookend and it’s completely customizable to your color preferences. We wanted ours to match some of our other home decor items in her room such as her Princess Dress Nightstand. I wanted to make a bookend that was sturdy enough to hold books without necessarily needing a matching bookend on the other end. 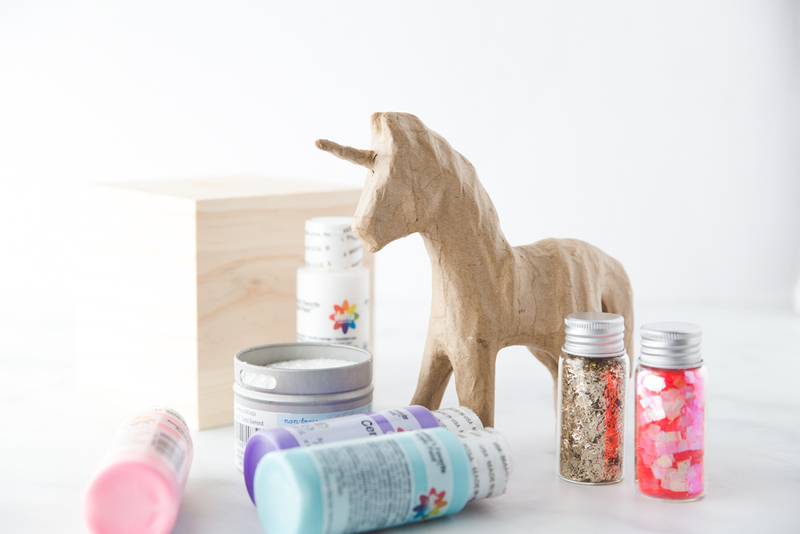 I also purchased a wooden block that I found in the craft section that acted as a “stand” for the unicorn. 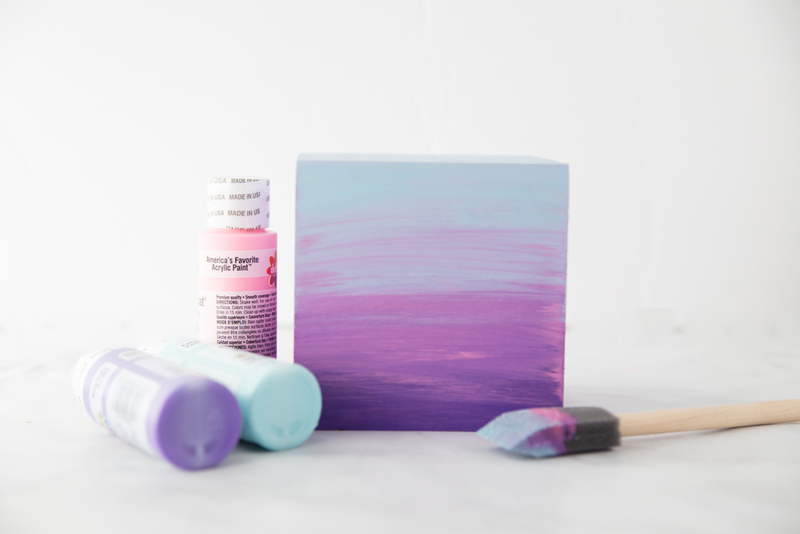 The paint is rich and creamy formula which provides excellent coverage on most craft surfaces. It’s perfect for wood, terra cotta, plaster and paper mâché. 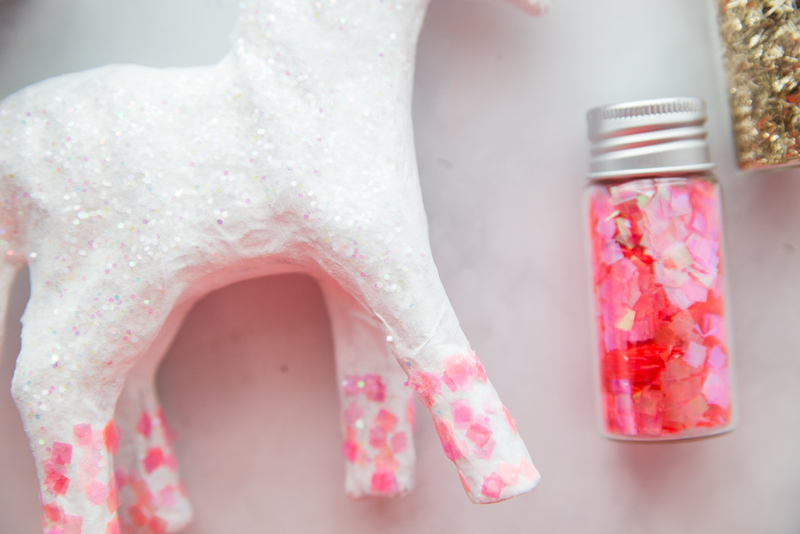 Dries to a matte finish, but you can always add a layer of glossy Mod Podge if your want to add some shine! I think my favorite part is that sparkly gold horn 🙂 My daughter has been playing with her bookend rather than letting it hold her books for the last few days and it has held up just fine. 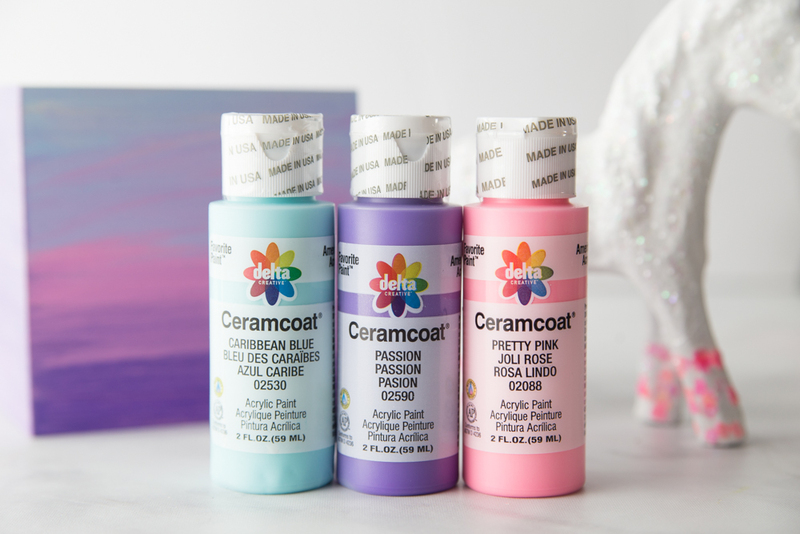 While you are shopping in the Target craft aisle you should also check out the Delta Ceramcoat® Acrylic Paint Flash Metallics, which gives your craft projects a flash metallic glossy reflective color. 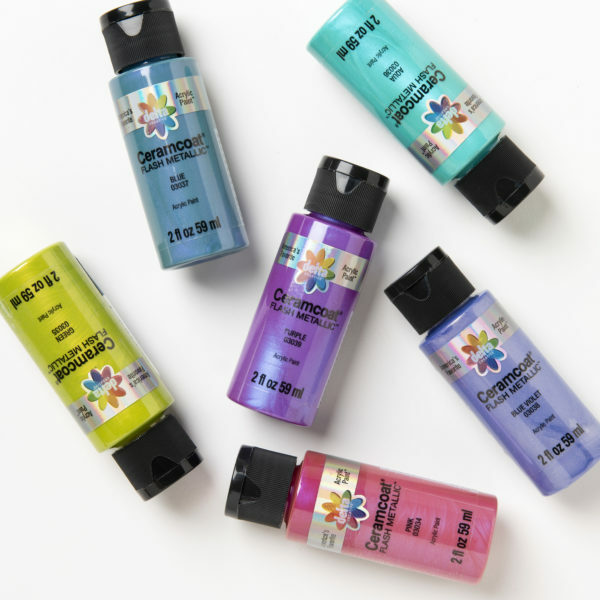 This product is NEW and it’s available in six colors at Target stores or Target online.